"I am the handmaid of the Lord, let it be done unto me according to thy word". By these words Mary accepted to become the Mother of Our Lord. A true example of humility, purity, faithfulness and devotion to God. 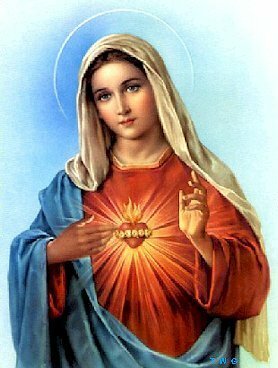 This unique woman changed history by becoming the mother of the Word of God incarnate through her Immaculate Conception, Our Lord Jesus Christ. She is our Heavenly mother, the universal mother. She served God totally and supported Jesus throughout His life. At the foot of the cross she was given to John as His mother, therefore becoming the mother of all the children of God. Her only desire is to intercede for us and to please God, as she testified at the wedding in Cana by saying "Do whatever He tells you." The Blessed Virgin Mary is our Immaculate Heavenly Mother.